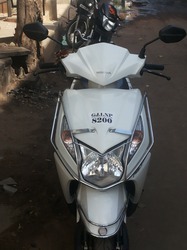 Prominent & Leading Manufacturer from Ahmedabad, we offer foot rest, honda dio front guard, bumper guard and round body stainless steel guard. Offered by us is high quality Foot Rest to the esteemed customers at highly competitive prices. 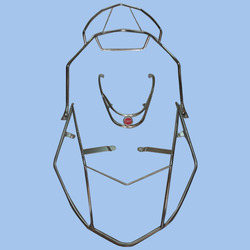 These products are designed and manufactured by employing latest technology and advanced machinery. In addition to this, we make sure to check these products on certain well-defined parameters to gauge their flawless nature. Our esteemed clients can avail from us a superior quality range of Bumper Guard at highly competitive prices. These products have swivelling arrangement, which has increased their demand in the market. With contact of the main bumper guard by any vehicle, pivoting member transfers moving vehicle’s horizontal energy to pre-tensioned energy absorption devices. 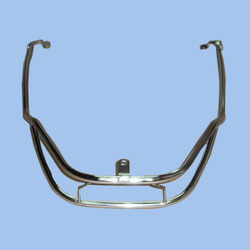 We present an incomprehensible range of Auto Parts Bumper Guard that are manufactured from high quality brass. 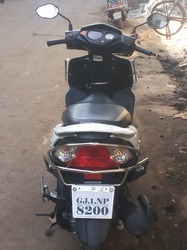 Finding applications in assortment of industries, the Honda Dio Accessories Parts offered by us are highly demanded by customers. Efficacious performance and durability are the chief attributes of Honda Dio Accessories auto parts available with us. With the assistance of our team of adroit professionals, we are engaged in offering a wide range of high quality Round Body Stainless Steel Guard. 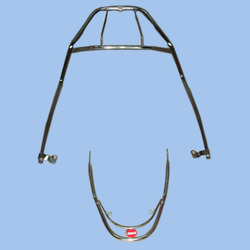 Manufactured using high-grade stainless steel, these guards are widely installed in two wheelers of TVS. Furthermore, the bumper guards are checked on certain well-defined parameters to gauge their flawless nature.